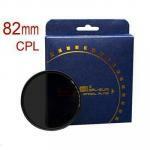 - Only 4.68mm thickness, Wide-angle lens compatible ultra thin frame. - Polarization rate up to 99.9% and transmittance up to 99.7%. Made with no compromise. - Glass mounted with high pressure press technology. - Original AGC Optical Glass from Japan. - All Materials Used in this filter Meet the Requirements of European Union's standards of Environ Ment Protection-ROHS(Restrictions on Hazardous Substances). 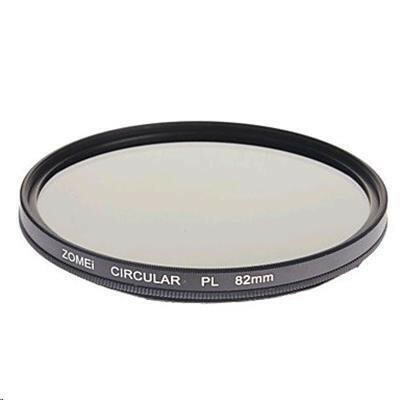 These filters offer both amateur and professional photographers outstanding, ZOMEi's famous quality at reasonable prices.They have coatings applied to both surfaces to hold back reflection and increase light transmission. 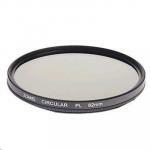 Light rays which are reflected by any surface can become polarized so polarizing filters are used to select which light rays enter your camera lens. 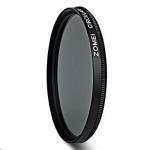 CPL filters allow you to remove unwanted reflections from non-metallic surfaces such as water, glass etc. They also enable colors to become more saturated and appear clearer with better contrast.This effect is often used to increase the contrast and saturation in blue skies and white clouds.ZOMEi's polarizing filters do not affect the overall color balance of a shot. 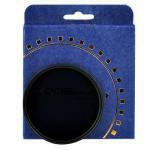 These excellent quality slim filters (4.68mm) will help to reduce the chance of vignetting on wide angle lenses, and this Slim Frame filter is providing both-side thread, so you can attach other accessories on it such as your lens cap. I got this filter because it is the only one PB tech had in stock for the lens I bought. It would good to stock other good quality ones.I got this filter because it is the only one PB tech had in stock for the lens I bought. It would good to stock other good quality ones.